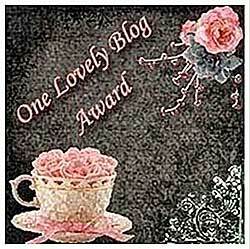 Kitchen Secrets and Snippets: Award time again !!! Am pleased to say that I've received 3 awards from my fellow bloggers and am so happy to receive this from u gals...Thanx a ton for remembering me..
Thanx a lot gal ..
1. I always like to be feel young (am young only -- no kidding !!!) no matter even after 20 or 30 years..
2. I'm much conscious when it comes to gaining weight. I try to keep myself fit and thatz the first thing my mom told after my marriage and my delivery ..
3. I love chocolates and very much crazy abt it. 4. Whenever i feel sick n tired, I just hop into my kitchen and will start making something to take off the pressure and that regains my strength back & feel alright. 5. Am a big fan of Indian foods ,infact , I hardly eat american foods..
6. Love to learn new things ..esp in cooking. 7. I would love to have a nice and alone time watching tv /surfing / sleeping rather than travelling to find adventures..
Am passing the stylish award and a set of 7 questions to keep the ball rolling by passing this to my fellow bloggers ..
Gals, I must say , the one who takes sincere effort deserves an appreciation and so, all my friends ,my fellow bloggers truly deserves this award.. Keep rocking gals !!! hey shanavi, congrats on the twin awards and nice knowing abt u ! the blog's got a good makeover ! first of all congrats dear on ur awards..and thank you so much for passing it to me..
Congrats for beautiful award ..so good to know abt you..i love to follow you dear..
Congratulations on your awards! Good to know about you!